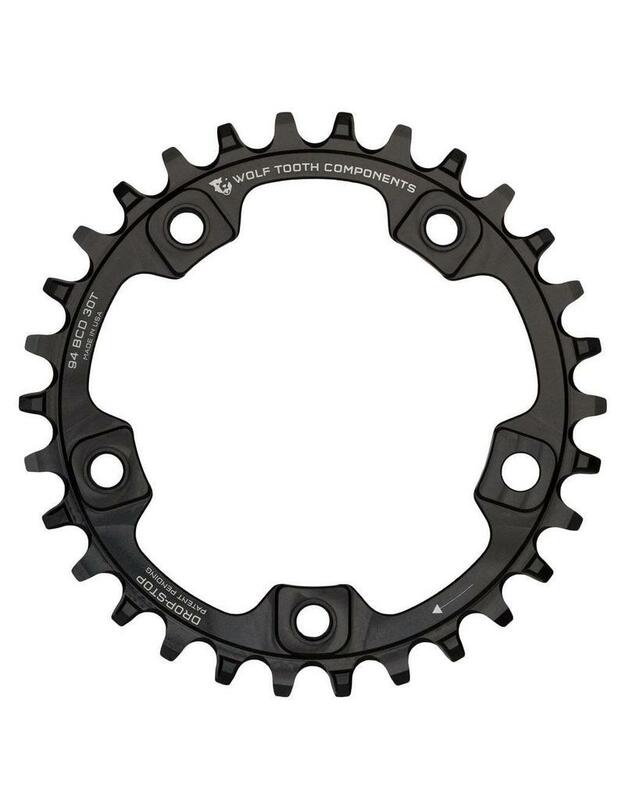 4 of the holes are threaded and 1 is a normal through bolt hole (done for Surly compatibility). Use a stock 10mm chainring bolt for the fifth, hidden arm. 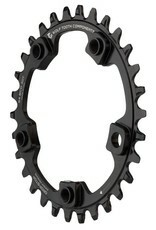 These rings fit any 94 BCD 5 bolt crankset, and here are instructions on how to measure your BCD. 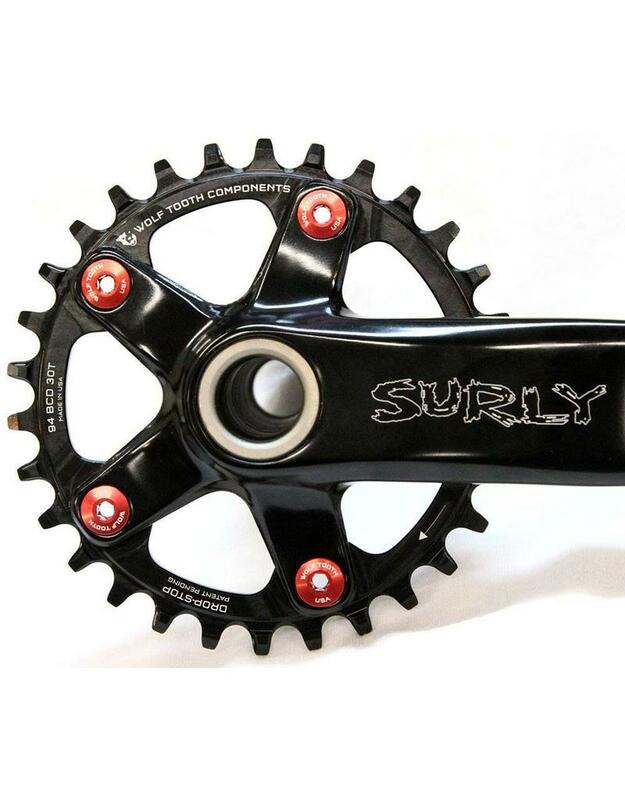 For Plus size bike applications with the Surly OD crankset, e.g. 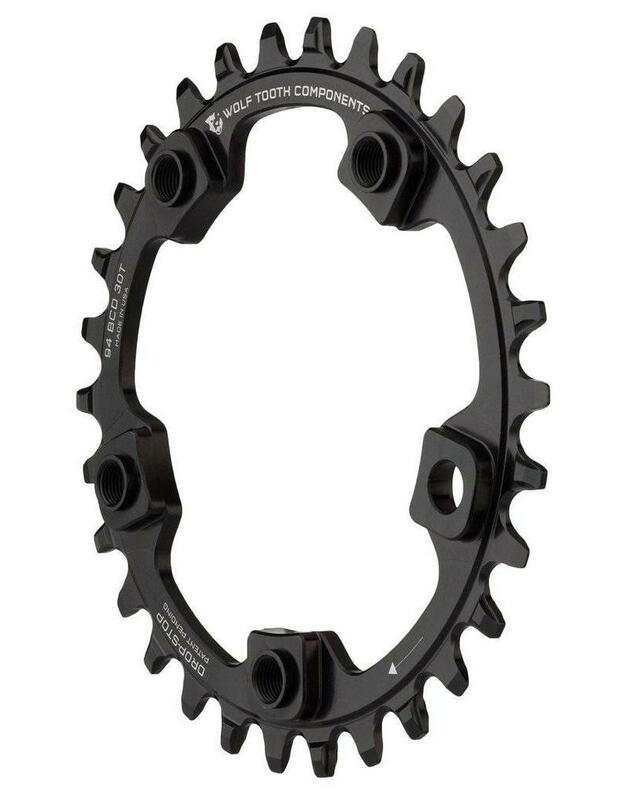 Instigator and Krampus, you will need to use the stock spacers (Spacer Kit QBP Part number CR8609) that came with your 1x setup. You will also need some 16mm bolts from problem solvers. 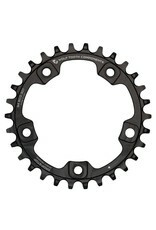 This ring will work with your vintage 94 BCD 5-bolt cranksets!! 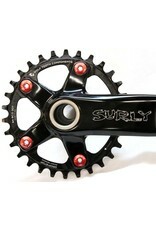 For use with vintage cranksets we recommend a set of 5 x 6mm bolts.